One of the fascinating things when bringing a building back to life is uncovering little gems of history. 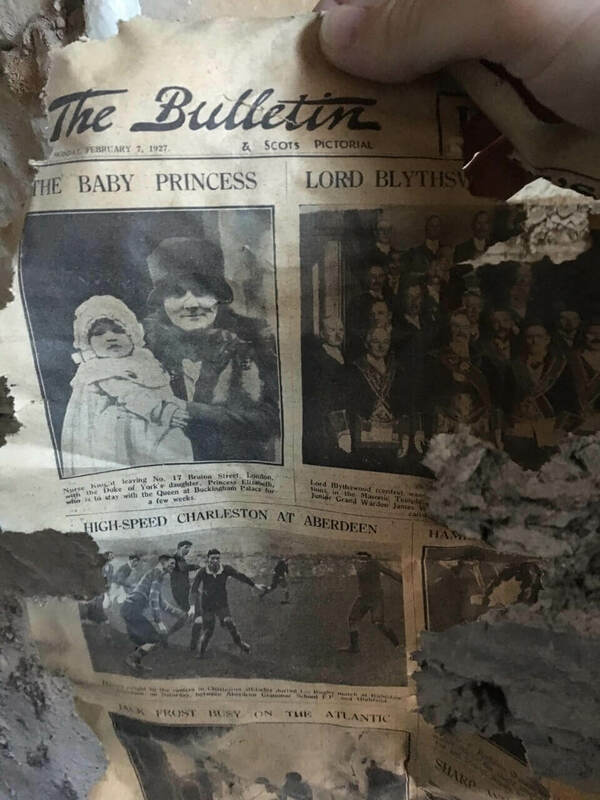 We came across this newspaper remain entitle “The Bulletin” dated 7th February 1927. Breathing life back into the Inverallan Lodge has been a challenging yet rewarding process and the project is nearing it’s final stages of completion. The building will be home to 6 new beautiful apartments featuring state of the art installations but also keeping many charming characteristics.